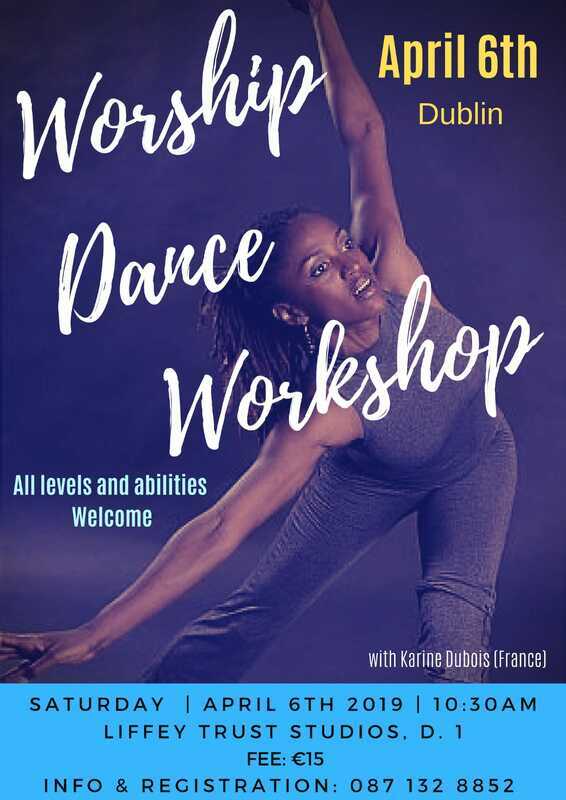 This is not a Christian Dance Fellowship workshop, it is being organised by Erica Pessanha Borges, artistic director and dance artist. The studios are on the corner of Sheriff Street Upper and North Wall Avenue in the redeveloped Dublin Docklands. There is some on-street parking plus a Euro Car Park just down the road. It is approximately a 2 minute walk from the Point terminus of the Luas light rail Red line, which comes through the city centre. Workshop: 10.30 am to 12.30 pm. 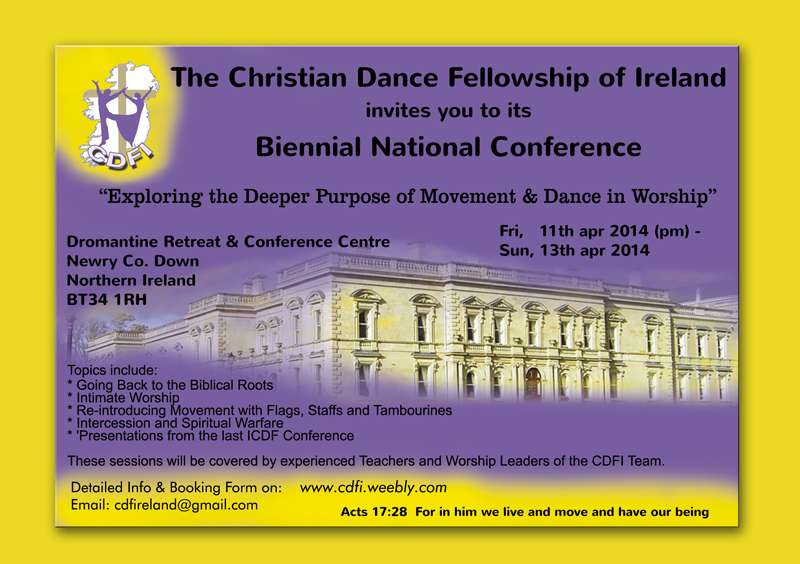 You may register your intention to attend or if you need a lift. And we will pass on the information to Erica, or you can of course register yourself by contacting Erica on the above number on the poster. 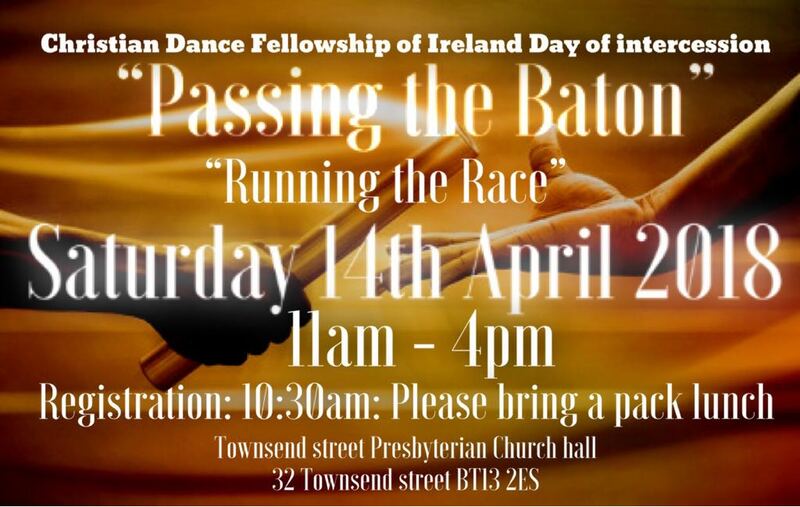 "Praise Him in The Dance"
If you join, you will enjoy with us the Presence of God through spontaneous dance worship and will also learn a lively dance with South African music and traditional Zulu steps!! 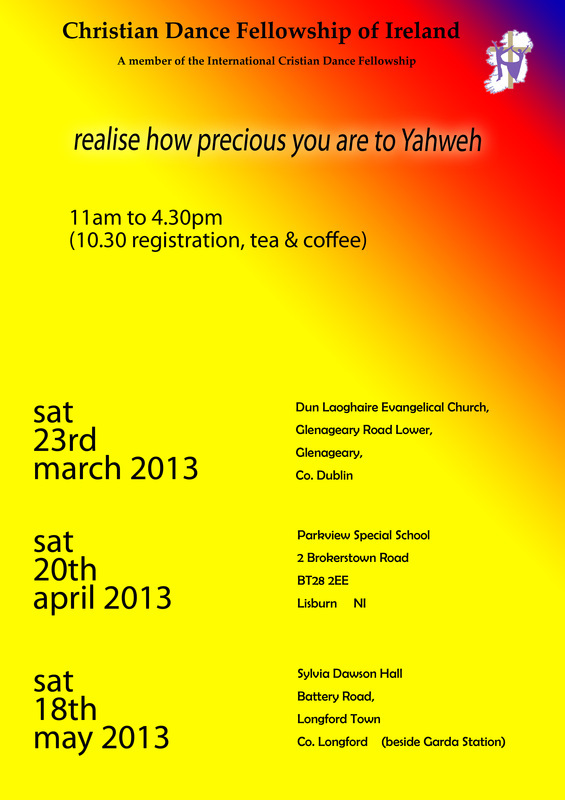 For MEMBERS and those interested, we will have our AGM (Annual General Meeting) after the worship 4-5pm. 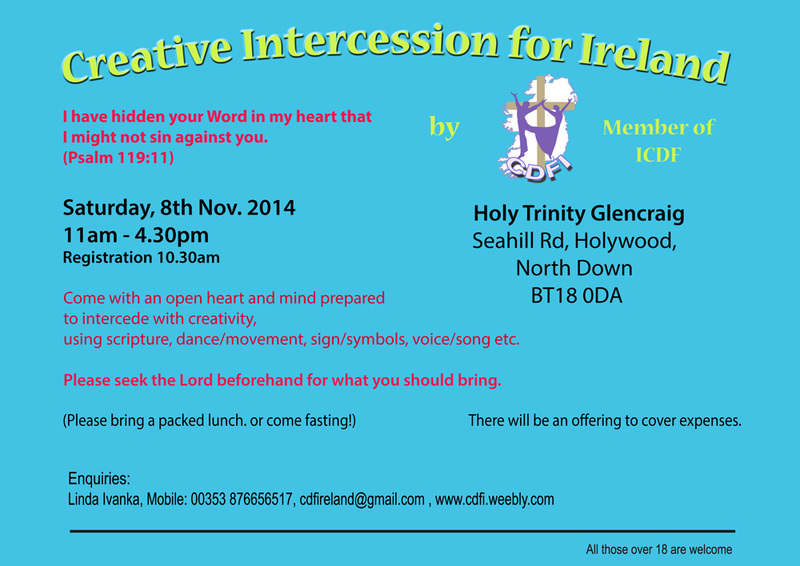 We would really value your presence and your prayers! 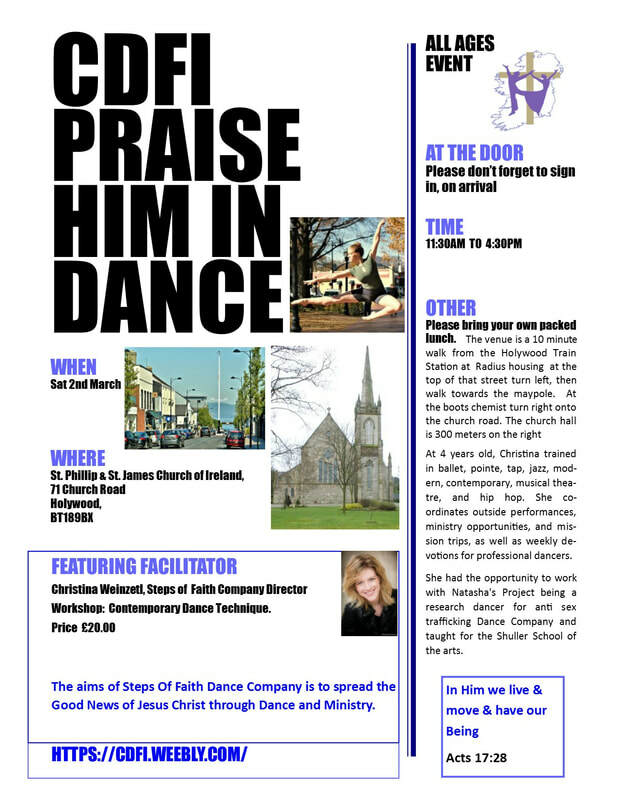 CDFI warmly invites you to an Irish Dance Workshop with the Zephaniah Dancers, taught by Deborah Anderson. * Cost: £25pp (fee being charged by Zephaniah teacher, CDFI will not charge on top of this). 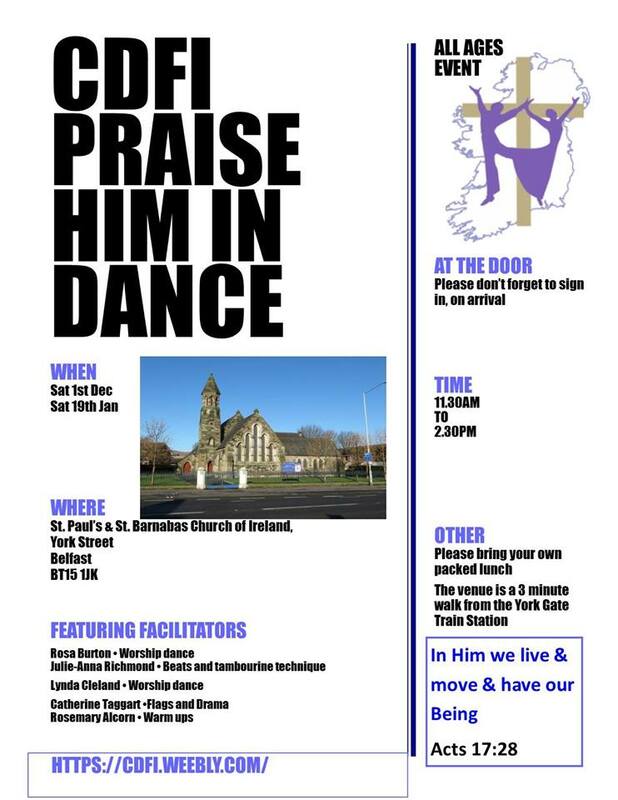 * Workshop content: the basics of Irish dancing, a few of the Zephaniah dances, learning a group dance for ministry opportunities. 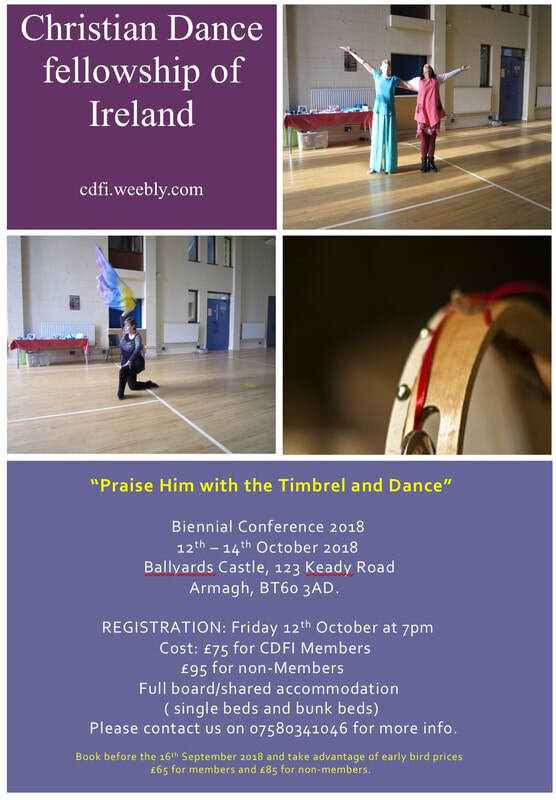 "Our mission is to provide tuition in Irish dance to the highest competitive standard and to use the medium of Irish dance to bring the Good News of the Gospel in a unique and dynamic way." 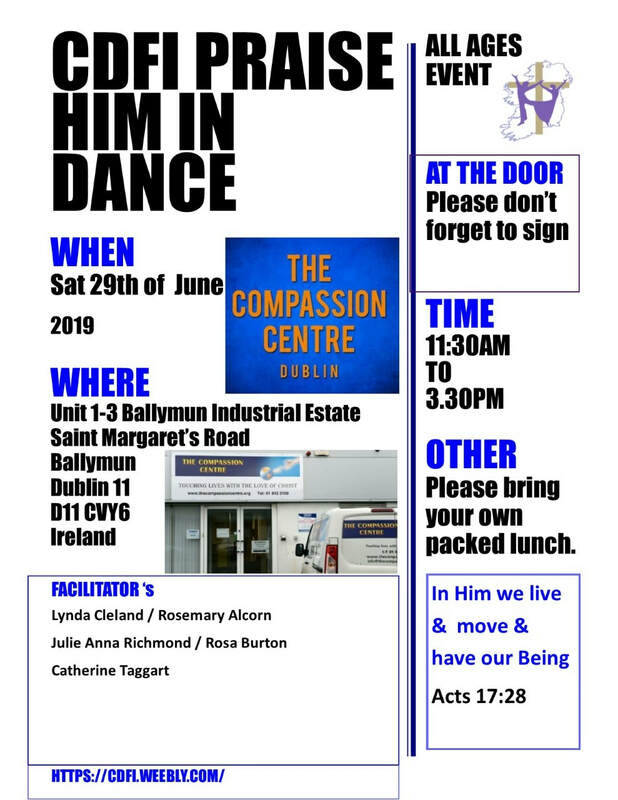 "The God given vision for Zephaniah dancing is to bring forth healing and restoration into peoples lives and for people to come into a true and living relationship with Jesus. The name Zephaniah means "The Lord Has Hidden". Zephaniah was a Prophet who wrote about Jerusalem. The book of Zephaniah is in the Old Testament in the Bible. Our key verse for Zephaniah dancing is - Zephaniah 3 v17 The Lord your God in the midst, The mighty One will save; He will rejoice over you with gladness, He will quiet you with His love He will rejoice over you with singing." 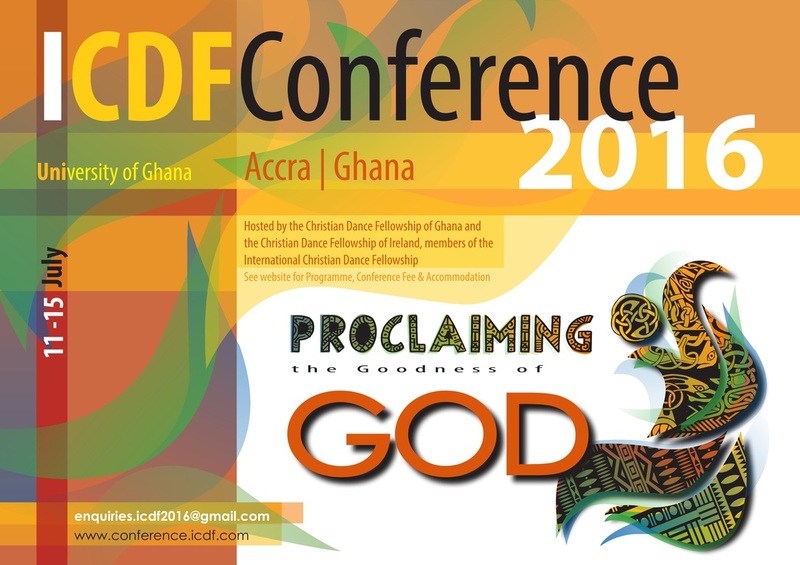 "Proclaiming the Goodness of God in CommUnity"